At first glance, the GeniCan is completely ridiculous. At second, it’s actually kind of brilliant. 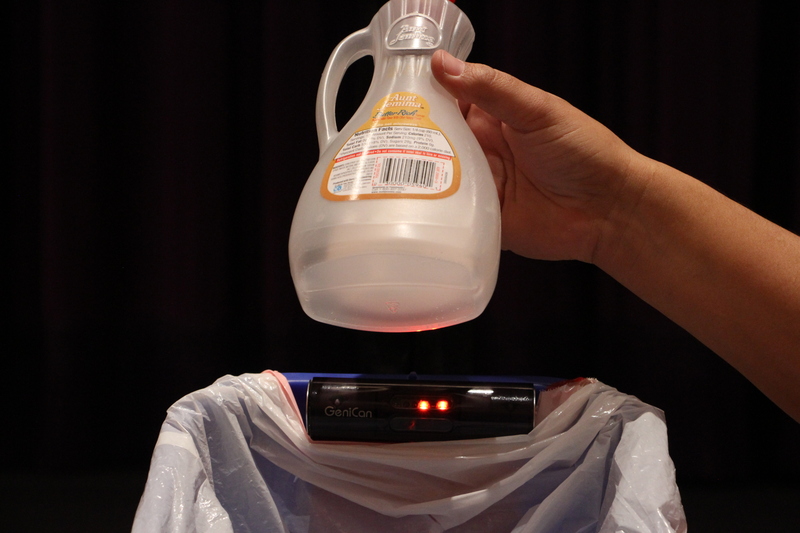 The scanner clips onto the side of a trash can, an always present reminder to scan items when you run out. Before throwing an object out, you hold it up to the IR scanner and it adds it to your list. 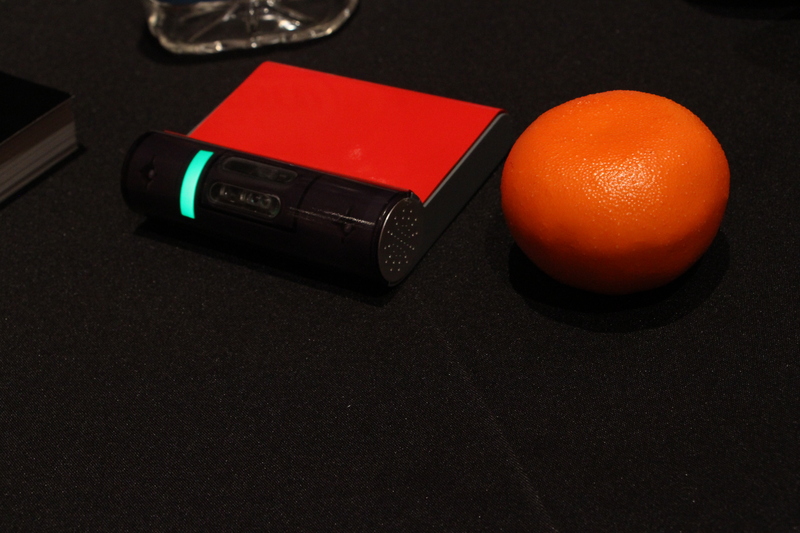 If an item can’t be scanned – like, say, a piece of fruit — the company relies on voice command. You tell it to add an orange, and it adds an orange, syncing it with the company’s shopping list app. And that’s pretty much it, really. We got a basic demo of the tech in action tonight at an after hours CES event, though the IR was acting up in the odd ballroom setting we were demoing the tech in, so it was fairly hiccupy. I’m willing to concede here that a ballroom setting is not the standard case use for a device like this. That said, the product is currently in its final version, with shipping starting early this year, so hopefully the thing will work better in a more standard kitchen setting. I’d also like to learn a bit more about the technology driving the voice recognition tech here. The company wouldn’t spill the beans, beyond saying that they’ve partnered with a third party for the tech. At $129 for preorder and $149 for the final version, it’s not cheap for a relatively minor convenience. But it’s a pretty ingenious bit of technology, nonetheless.